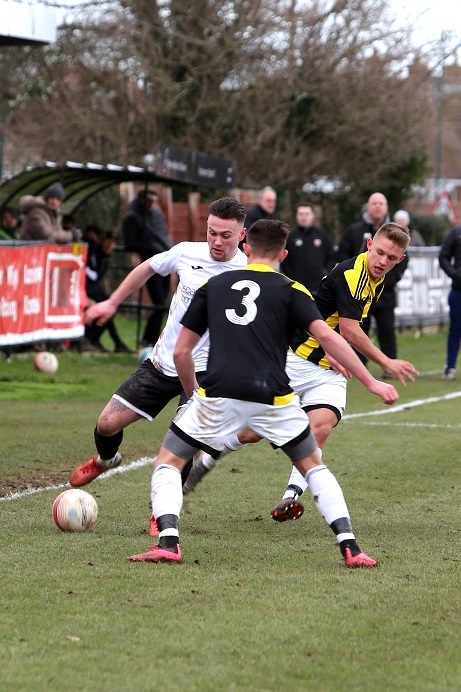 Pagham chairman Tony Shea has given his full backing to joint managers Tom Simmonds and Richie Hellen after a disappointing run of form put paid to the Lions’ promotion hopes. The Nyetimber Lane side were well placed for an assault on the top two in the SCFL Premier after going undefeated for 16 matches. But defeat to Eastbourne Town at the end of November triggered a run of just one win in 11 in all competitions, all but ending any hopes of promotion for the year. With injuries and suspensions still hurting the Lions, Pagham have been forced to turn to youth. And the starlets responded by smashing six past Loxwood last weekend with Harry Prisk (3), Liam Brady (2) and Howard Neighbour all scoring in the second half to seal a 6-0 home win over the Magpies. That will give everyone at the club renewed hope that they can push up the table form their current position of ninth. Shea also believes the club can progress in the RUR Cup with AFC Uckfield and Peacehaven standing in the way of a place in the final. And the chairman confirmed that Hellen and Simmonds will remain at the helm to rebuild for next season. Shea said: “They had a great year last year. Tom is a young manager and still learning but I have got 100 per cent belief in him. Richie is very experienced at this level and both work very well together. “That’s not the chairman’s dreaded vote of confidence. “There have been very fine margins this season with injuries and suspensions at key times which meant we went through a dreadful patch where we were struggling to raise a side at some points.